Broadcaster and award-winning journalist, Shane Coleman is a skilled conference facilitator and host, and is great at chairing a conference or a debating session. He draws on his experience as a radio presenter in asking questions, introducing guests and managing a session. 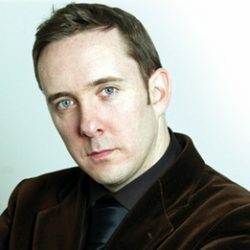 Shane Coleman is a broadcaster and an award winning journalist. He is the Political Editor of Newstalk.com and the presenter of the Sunday Show current affairs programme on the same station. He also regularly stands in as a presenter on the Newstalk Breakfast and Right Hook Shows. He is a regular columnist for the Irish Independent. Previously the Political Editor of the Sunday Tribune newspaper, Shane has been covering politics for 16 years. Prior to that he was also the Business Editor of the Sunday Tribune. He is the author of four books on Irish politics, including the critically acclaimed Bertie Ahern and the Drumcondra Mafia and Scandal Nation. A graduate of Trinity College Dublin with an honours degree in Economics and Politics, Shane also holds a Masters in Journalism from Dublin City University. Shane Coleman is a skilled conference facilitator and host, and is great at chairing a conference or a debating session. He draws on his experience as a radio presenter in asking questions, introducing guests and managing a session.